A quick look at the Premier League table before Christmas and you would have said that this game is a guaranteed three points for Newcastle. But West Ham have taken seven points from a possible nine since Christmas day and are now just five points behind Newcastle in 16th place. Having ended their dismal run of 27 Premier League away games without a win at Fulham last time out, the Hammers can string together back-to-back away wins and move to within two points of Newcastle – Avram Grant’s side are 7/2 to beat Newcastle. The Toon Army have won just three of their ten Premier League matches at St James Park this season, and while those wins were convincing, losses to Blackpool, Stoke and Blackburn, and draws with Wigan and Fulham suggest punters should oppose the 4/5 for Newcastle to win. However West Ham would settle for an away point to continue their good run of form and the 5/2 for the draw could be the most tempting price. One things for certain, both teams will score on Wednesday night considering Newcastle haven’t kept a clean sheet in nine home games and West Ham have gone 18 away games without a clean sheet – both teams to score is priced at 4/5. In the last three Premier League games between the two, there have been exactly four goals scored and considering Newcastle have failed to score more than once in nine of their last 10 league games, the game is set-up for a 3-1 West Ham victory – priced at 33/1. 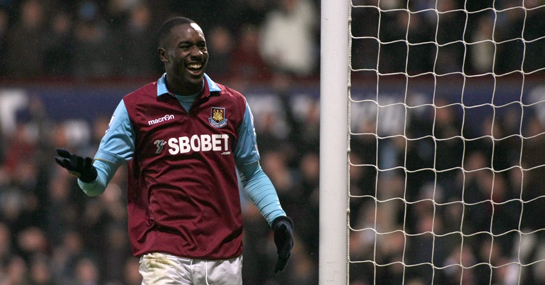 Carlton Cole has three goals in six league appearances against Newcastle and is 9/4 to score any time, while over 3.5 goals in the game is 9/4. A £10 stake on Cole scoring first and West Ham winning 3-1 would return £1,500. New customers can sign up here for a free £10 bet.